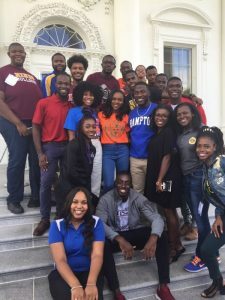 HBCUs are a source of accomplishment and great pride for the African American community as well as the entire nation. The Higher Education Act of 1965, as amended, defines an HBCU as: “…any historically black college or university that was established prior to 1964, whose principal mission was, and is, the education of black Americans, and that is accredited by a nationally recognized accrediting agency or association determined by the Secretary [of Education] to be a reliable authority as to the quality of training offered or is, according to such an agency or association, making reasonable progress toward accreditation.” HBCUs offer all students, regardless of race, an opportunity to develop their skills and talents. These institutions train young people who go on to serve domestically and internationally in the professions as entrepreneurs and in the public and private sectors.